All SUNSET RIDGE homes currently listed for sale in Park City as of 04/25/2019 are shown below. You can change the search criteria at any time by pressing the 'Change Search' button below. "Magnificent, one-of-a-kind mountain contemporary home to be built in Sunset Ridge. 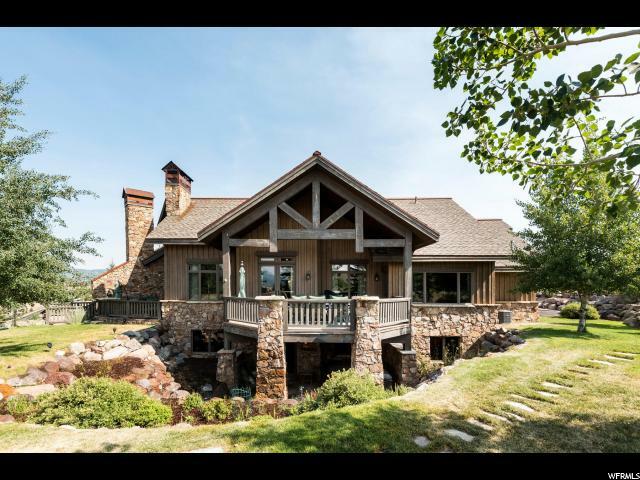 You will enjoy panoramic mountain views from every room of this stunning home. Designed for year-round family living, casual or sophisticated entertaining, this special home will wow you and your guests with its outdoor/indoor living, soaring windows, and high-end finishes. You'll experience spectacular sunsets from the outdoor living and dining spaces. This home will be built on an exceptional 1-acre lot, conveniently located close to the Clubhouses and main gate. Some Promontory Club & common area amenities available only with the purchase of a membership. " "This beautiful custom home is situated to take advantage of the stunning mountain views on a one acre homesite in Sunset Ridge at Promontory. The home features the finest finishes and top-of-the-line appliances. The main-level master takes advantage of sweeping views of Deer Valley, Park City Mountain Resort and The Canyons. The home is conveniently located near the Equestrian Gate and a short distance to the and Clubhouse. Offering 5 ample bedrooms, this home is perfect to host a large gathering of family and friends. The generous outdoor patios and deck offer enhanced entertaining space that bring the outdoors to you. Enjoy living in luxury while taking advantage of the world class amenities that Promontory has to offer."